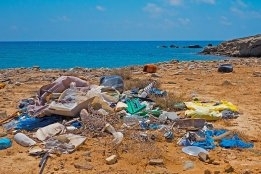 Plastic waste: enviromental threat. File image/Pixabay. A boffin has come up with a method of turning marine plastic waste into fuel. US-based scientist Swaminathan Ramesh has linked up with environmentalists to develop reactors to do the job. "I am very optimistic that small to big plastic-to-fuel units deployed strategically on land and barges can stop the waste plastic from entering the ocean," the chemist was quoted as saying by general news provider inews. Ramesh set up EcoFuel Technologies in 2012 and is working with the Save Our Oceans Foundation to further his vision. A Dutch firm has embarked on a similar road although it uses generic plastic waste.